Free Hire for adult parties with 40 plus adult guests, (children are welcome, but do not count towards the 40 guests required for free hire) includes our bar and staff. For functions of less then 40 we charge £30 per hour, other T & C's apply. 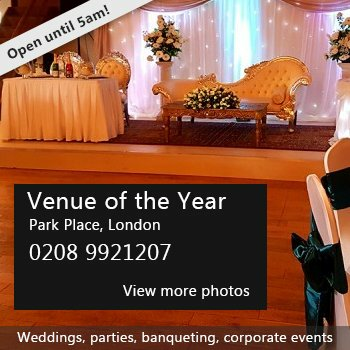 Recently refurbished hall suitable for birthday celebrations, anniversaries, engagements or general celebrations, we do not hire the hall for either 18th or 21st parties. Available for children's parties on Sundays, for £12.50 per hour. We are just five minutes from Freeport Shopping Village, children's play area, free parking, wi-fi. Open Monday, Wednesday, Thursday and Friday 7-Late, Saturday and Sunday 12 noon until late. Other times can be accommodated depending on availability. Please leave a message and we will get back to you at the earliest opportunity. 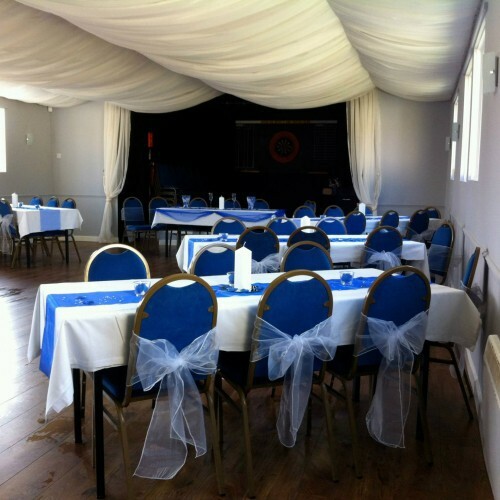 For photos please search our Facebook page 'Cressing Sports & social Club' **Decorations shown in photos are clients own** our ceiling is draped permanently. Viewings are welcome, contact us on 01376 345521 to make arrangements, open Wednesday, Thursday, Fridays evening plus weekends from 12 noon. There have been 0 reviews of Cressing Sports & Social Club. If you would like to send Cressing Sports & Social Club a booking enquiry, please fill in the form below and click 'send'. Perhaps some of the following halls within 5 miles of Cressing Sports & Social Club would also be of interest?